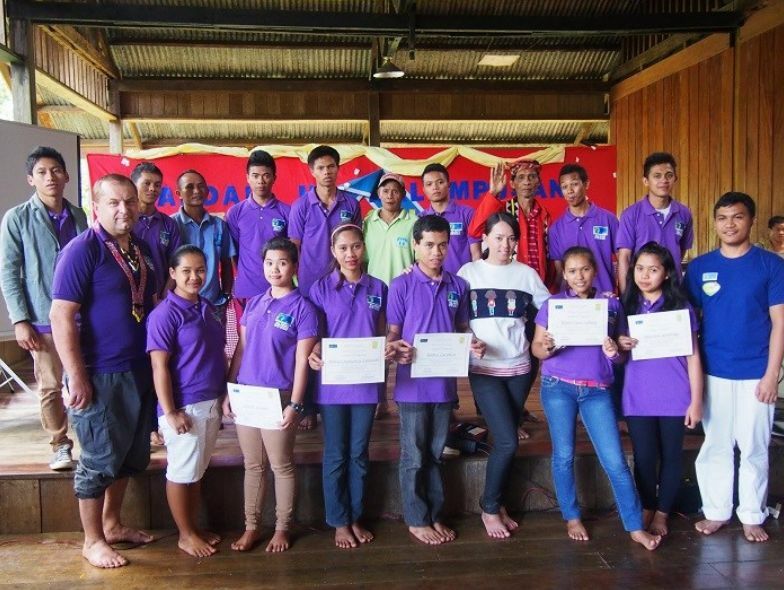 Last April, 15 youth finished the English as Foreign Language (EFL) course with Pre-Intermediate level. This course was designed in response to the need expressed by the youth to further develop their English skills. English is the most widely spoken language globally. The indigenous youth recognizes the importance of English skills in widening their engagement in greater society and involvement in global development efforts. The youth learning about Bendum gaup. This was intentionally an online course but due to the challenges encountered in having internet connection, it was not made possible at the moment. However, this did not stop the initiative from moving forward. Contents were downloaded from the city and brought to Bendum. Preparations in Bendum were also made in relation to the course. The new computer building and chairs were built by the youth. There is also a micro-hydro generator that provides the needed electricity. The participants with Datu Nestor and their facilitators. With this new initiative, we hope to open other possibilities and opportunities where the youth can further develop their capacities, acquire new skills, share their knowledge and skills, and continue strengthening their cultural identity in the face of external values, education, consumerism and urban attractions. Photo caption: The youth during their computer class.